Fall into Autumn with A-ROO Company's Meandering Leaves™ Bouquet Sleeves. The crisp meandering leaf pattern is reminiscent of shuffling through piles of leaves while out on a brisk Autumn walk. two standard sizes - 13x16x4" and 17x17x4.5" are avaiable for custom orders. Meandering Leaves™ sleeves are only available on a custom order basis. Please contact an A-ROO Company Sales Professional for more information. Copyright 2019 A-ROO Company LLC. 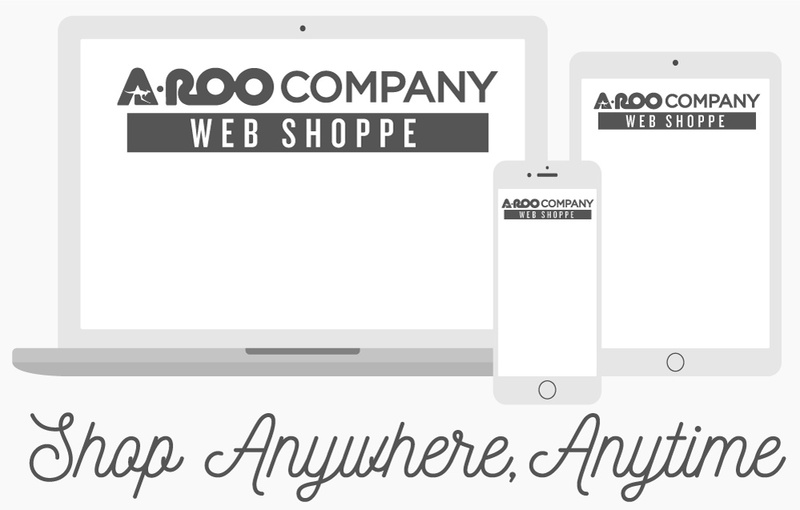 We are happy to announce the launch of the A-ROO Company Web Shoppe! Now, in addition to calling one of our many, friendly and knowledgeable Sales Representatives, you can purchase some of our most popular items directly online!